On Tuesday Brazilian public opinion was shaken by another stage of the two-year long Lava Jato anti-corruption operation. This time police and prosecutors entered the premises of Odebrecht, Latin America’s largest construction company. Findings are already shocking as it was revealed Odebrecht had an entire system set up to manage corruption. The company delivered four of 2014 World Cup stadiums and in at least one case there’s already a link to bribery. 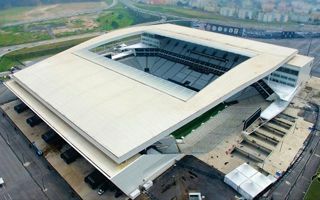 Carlos Fernando dos Santos Lima, one of the lead prosecutors on the case, said he had evidence of bribes paid on soccer stadiums built to host the 2014 World Cup, and in particular Sao Paulo's Arena Corinthians. Police said their latest operation turned up evidence that 14 Odebrecht executives sent requests for "parallel payments", opening a whole new line of investigation. One of those was Antonio Roberto Gavioli, responsible for Odebrecht's Arena Corinthians contract. Police said he solicited 500,000 reais ($140,000) for someone code-named "Timão" (Portuguese nickname for Corinthians). Also yesterday police raided the home of Corinthians vice-president Andre Luiz de Oliveira. He was arrested, though the arrest only includes charges of illegal gun possession (his permit ran out). At this point no corruption charges were raised. Both Corinthians and Odebrecht announced full readiness to cooperate with the investigation. At the same time Corinthians revealed that the construction of their new stadium (formally opened in early 2014) is still formally not done! In a special statement the club wrote that handover proceedings are ongoing to this day. The building is being audited for compliance with architectural documentation, while all installations (electric, hydraulic, IT, etc.) are examined. The club assured that any and all potential errors, omissions and other misconducts will be prosecuted. At this point there are no charges regarding further stadia delivered by Odebrecht or other companies. However, even these initial findings are a sad reminder of what happened with the 2010 World Cup host stadiums in South Africa, which were proven to be part of a giant corruption scandal.